What's the geekiest way to propose to your girlfriend? Make a robot do it for you. 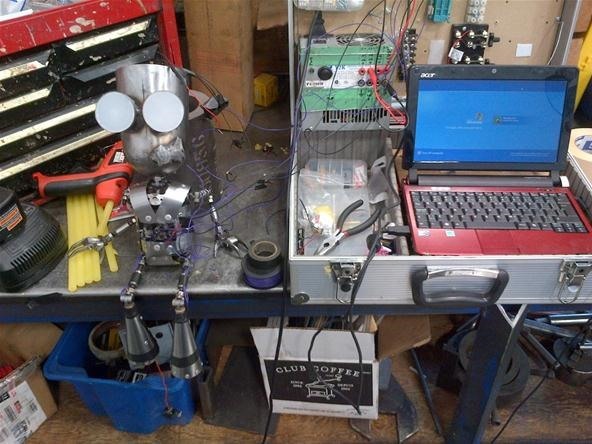 As a self-declared dork, RangerX52 wanted to take a simple task like proposing and make it as utterly complicated as possibly—by having a DIY robot do it for him. With knowledge of his lady's infatuation with the childlike personality of GIR, one of the main characters from the animated Invader ZIM series, he went ahead and built a tiny robotic replica of GIR to do his bidding. It doesn't walk or dance or anything like that, but isn't proposing and shooting an engagement ring out of your chest impressive enough? Check out the video below for a demonstration of GIR's specific nature. But be warned... it is NOT the actual proposal, and his soon-to-be wife, Dorothy, could not contain her elated giggling. 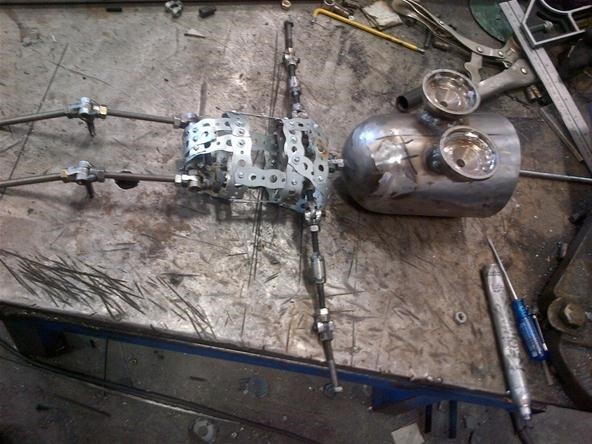 If you want to build your own marriage proposing GIR robot, check out the build site. 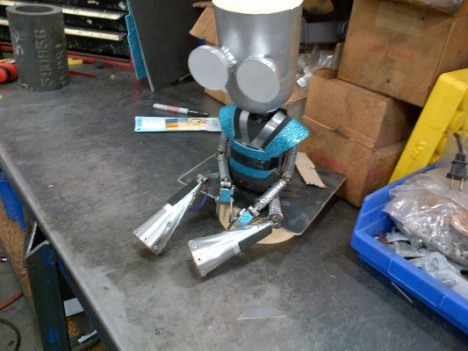 He explains the process of building GIR from scratch, which involves some heavy metalworking and everyday things like bolts and duct tape, as well as servos, LEDs, microcontrollers, audio modules, relays, transistors, etc. Visit the GIR site for more information. I love this robot! Noises and few servos and your heart starts to melt. Dude, you did not just make gir! I freaking love you!